A group of Gannon students gathered in the lobby of Finegan Hall on Nov. 6 to watch history unfold on election night. 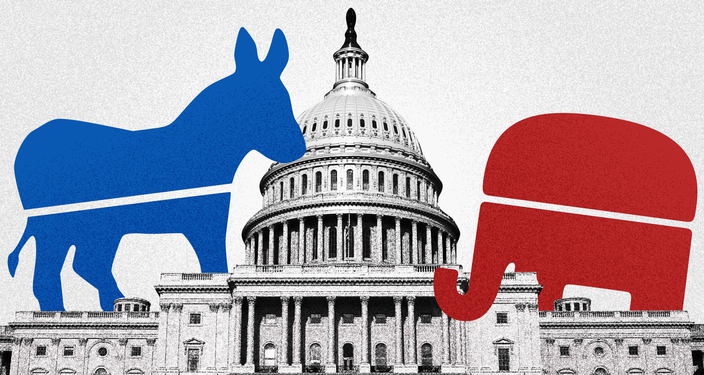 With much at stake at the federal level, the Democratic Party retook control of the House of Representatives by picking up at least 30 seats, with some races still too close to call. However, the Republican Party kept and expanded its majority in the Senate, picking up seats in Indiana, Missouri and North Dakota. The Florida senate race is heading for a recount, so that race has not been called either way. At the state level in Pennsylvania, incumbent Democratic Gov. Tom Wolf won a second, four-year term over Republican state Sen. Scott Wagner. Incumbent Democratic Sen. Bob Casey beat Republican Congressman Lou Barletta, ensuring Democrats won both statewide races. Meanwhile, Republicans maintained control of both chambers in the General Assembly. Locally, Congressman Mike Kelly won re-election against Democrat Ron DiNicola in the new 16th Congressional District. Erie City Councilman Bob Merski was elected to the 2nd Legislative District seat previously held by the late Flo Fabrizio, defeating Republican Tim Kuzma. Erie County, which voted for President Trump in 2016, returned to supporting Democrats, according to election results. To students supporting both political sides, it was a night of mixed emotions. Josh Staley, a freshman political science major and registered Democrat, said that he was proud of his party, but also disappointed. “I felt the Democrats could’ve done a bit better at the national level, especially in the Senate, where they lost seats,” Staley said. David Thompson, a freshman criminal justice major and registered Republican, said nothing really shocked him on election night. “I feel there weren’t many surprises with the election; it’s more or less what we have grown to see: major cities and areas around that stay blue, while the rural areas were largely red,” Thompson said. 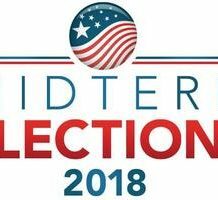 Now with the midterms in the rearview mirror, the focus now shifts toward 2020, when we will go through yet another presidential election, one that is expected to be even more divisive and tumultuous than the most recent one. Thompson said he thinks that the presidential election in 2020 will be ugly. Staley, on the other hand, said it’s still too soon after the last election to be discussing 2020. “We just had an election last week,” Staley said. “I think that would be an unstoppable ticket,” Staley said. Overall, the political process reared its head, and it seemed now more than ever before, students were engaged and involved, more so in fact, that it brought students from both sides of the aisle to sit together in a dorm lobby on a Tuesday night watching CNN.